Widely considered to be one of the best new trap producers in the game, Metro Boomin is currently working on releasing the collab album, Metro Thuggin, with Young Thug. He also produced the majority of the Drake & Future project What A Time To Be Alive, and executive produced it as well. The Metro Boomin kit contains 760 drum sounds grouped into the following categories: kicks, claps, hi-hats, cymbals, percussion, sub-bass and toms. 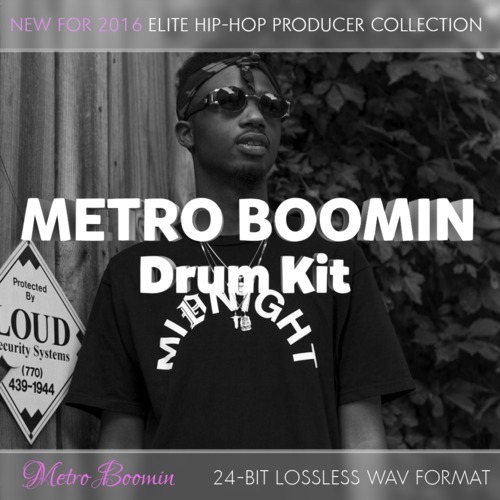 Metro Boomin Drum Kit - Elite Hip-Hop Producer Sounds metro boomin drum kit 278882214 23.99 loncaliproductions Fresh Download Available!